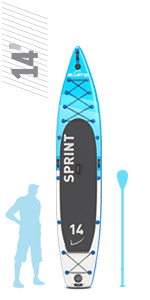 LOOKING FOR A PRECISION BOARD PACKED WITH HIGH PERFORMANCE DESIGN? Only Bluefin Cruise Carbon comes with FRS carbon composite rail, 1000 Denier Exo Surface Laminate & Pro-Weave Drop Stitch. 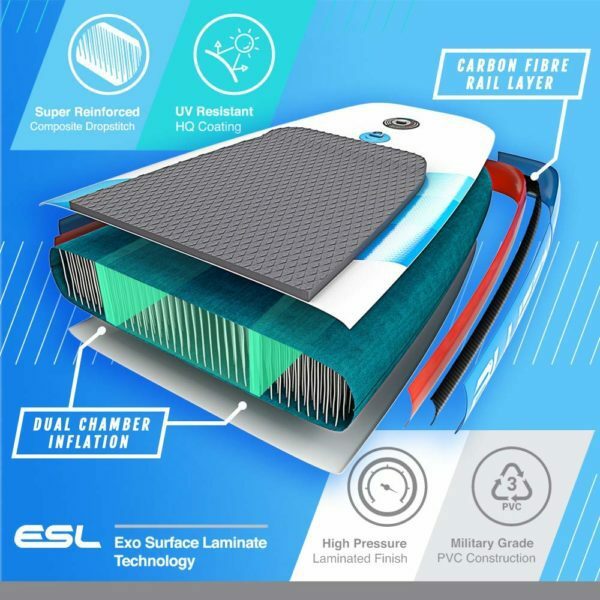 These materials make Carbon so tough it holds up to 28 PSI. 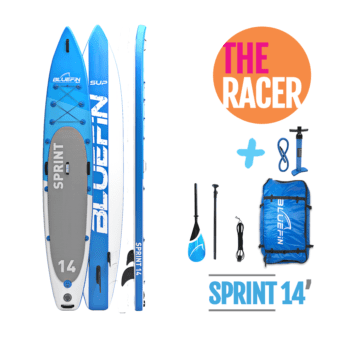 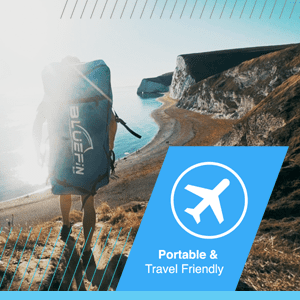 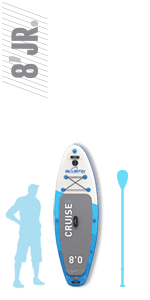 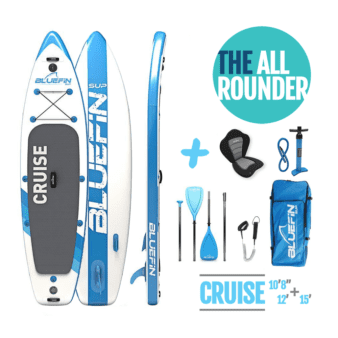 Bluefin makes the most rigid & stable inflatable stand up paddle board you’ll ever buy. 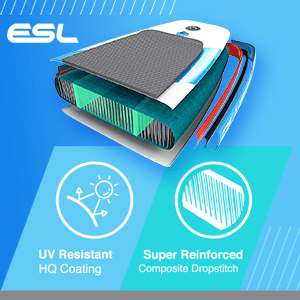 FRS: FLEX REDUCTION SYSTEM: Robust Carbon fibre rovings woven into a diagonal twill pattern produce our 3K Carbon fibre rail layer. 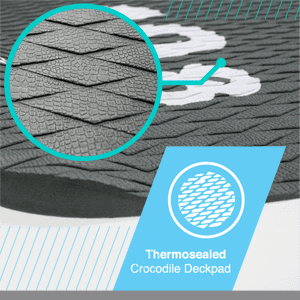 Unique properties of 210gsm carbon textile allow stiffness & flexibility in one lightweight material. 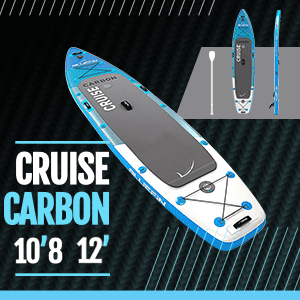 Carbon mid-rail is heat-welded between internal and external rail tape to produce unrivaled tension & rigidity. 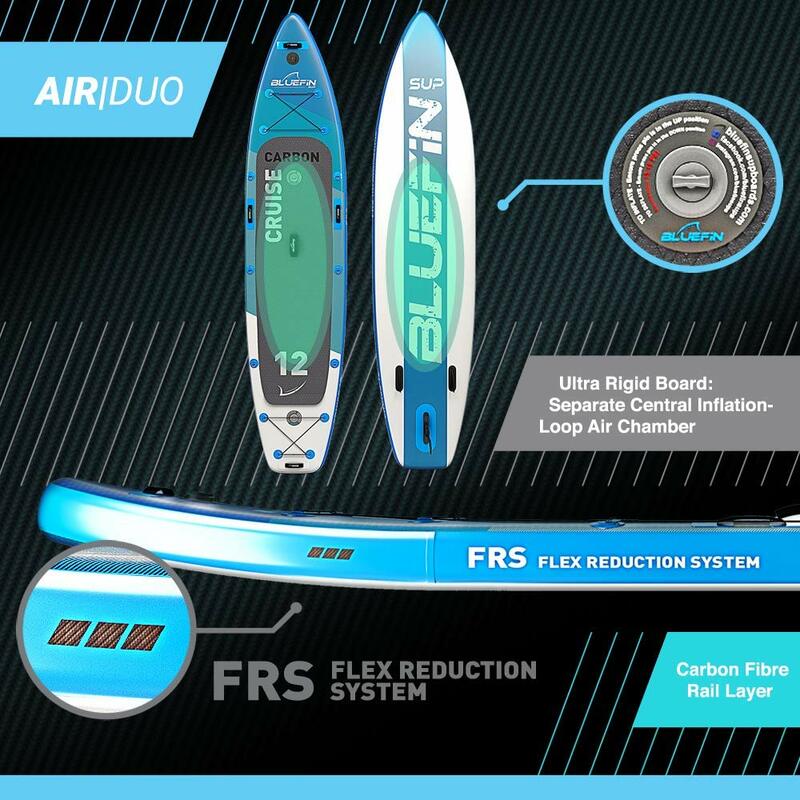 AIR DUO INFLATION: Independant Inflation Loop Air Duo inflation is a huge advancement in iSUP construction. 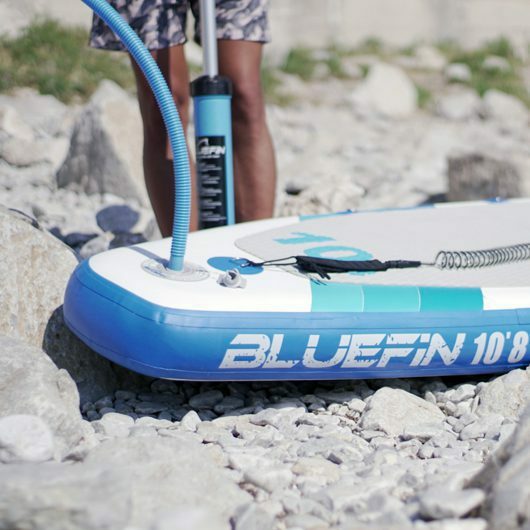 With a stand alone central inflation loop inside the massive main air chamber Carbon is more indestructible, rigid and high volume than ever. Carbon can even float on the inflation loop alone making it a stand out safety feature as well as stiffness enhancer. 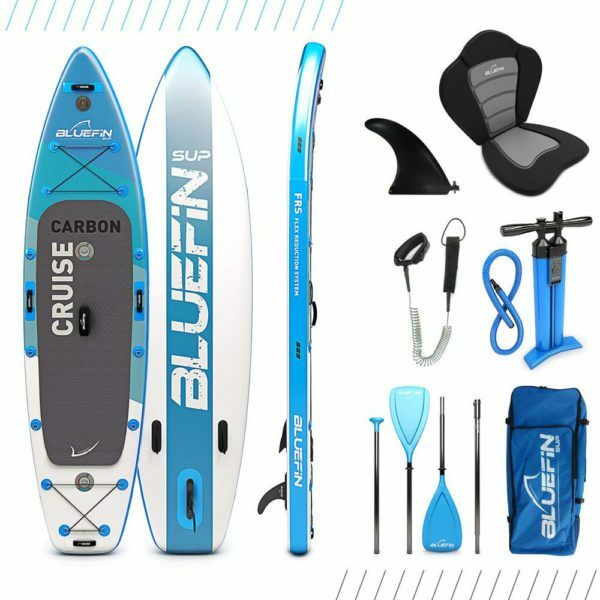 US BOX FIN + CARBON FIBRE PADDLE: 2 piece carbon paddle with ergonomic shaft weighing almost 70% less than standard SUP paddles and floats too. 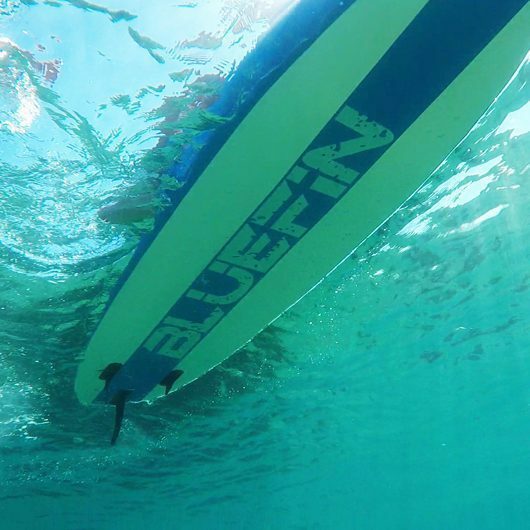 Match your fin to the conditions with US Box design. 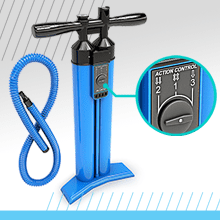 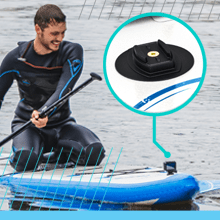 No metal parts or tools to lose, clip fins in securely in seconds. 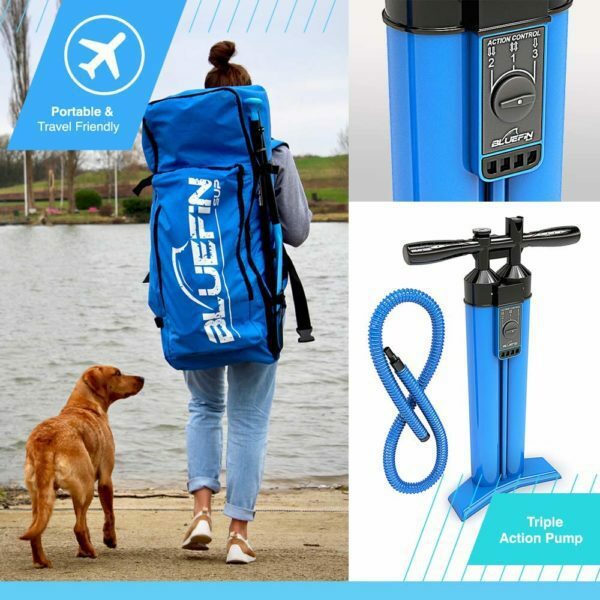 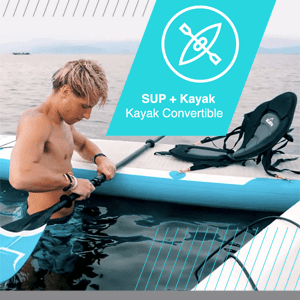 ACCESSORIES INCLUDED: Kayak conversion kit for seated paddling, integrated GoPro mount to catch all the action, ultra padded Travel Backpack with outside pocket, Double Action Pump inflates in half the time. 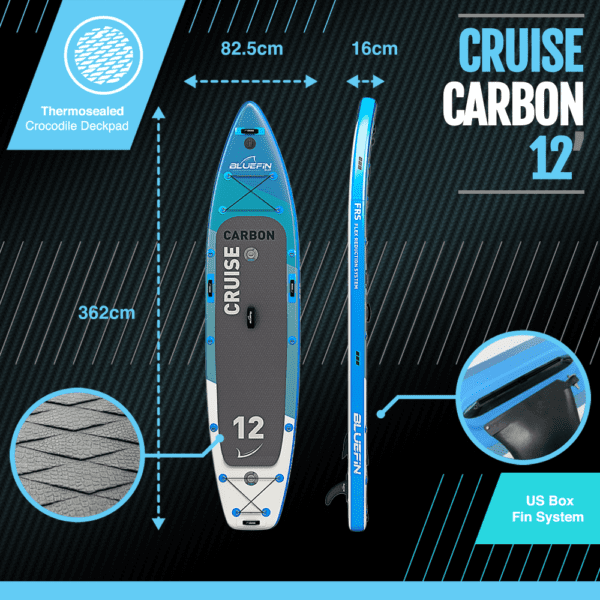 Introducing the Cruise Carbon, our next generation SUP offering enhanced special features & modifications. The FRS (Flex Reduction System) benefits from carbon-railing construction; furthermore, a separate central-inflation loop chamber ensures an ultra-rigid & high-pressure board that is stronger & sturdier than ever before. 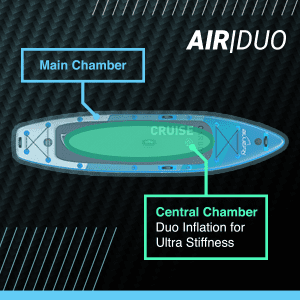 Air Duo: Ultra Stiff SUP. 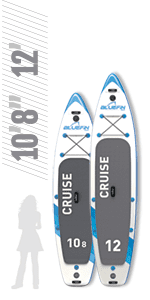 Total Rigidity. 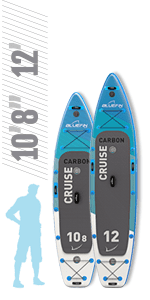 The Carbon Cruise SUP benefits from AIR DUO technology. 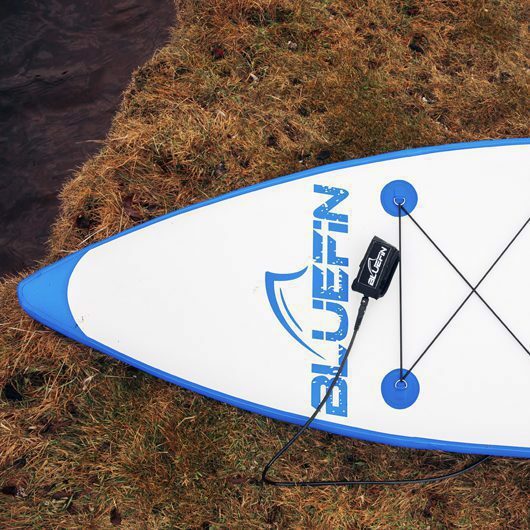 Compromising of both the main inflation chamber + a central loop chamber & ensuring an ultra-stiff board with total rigidity. 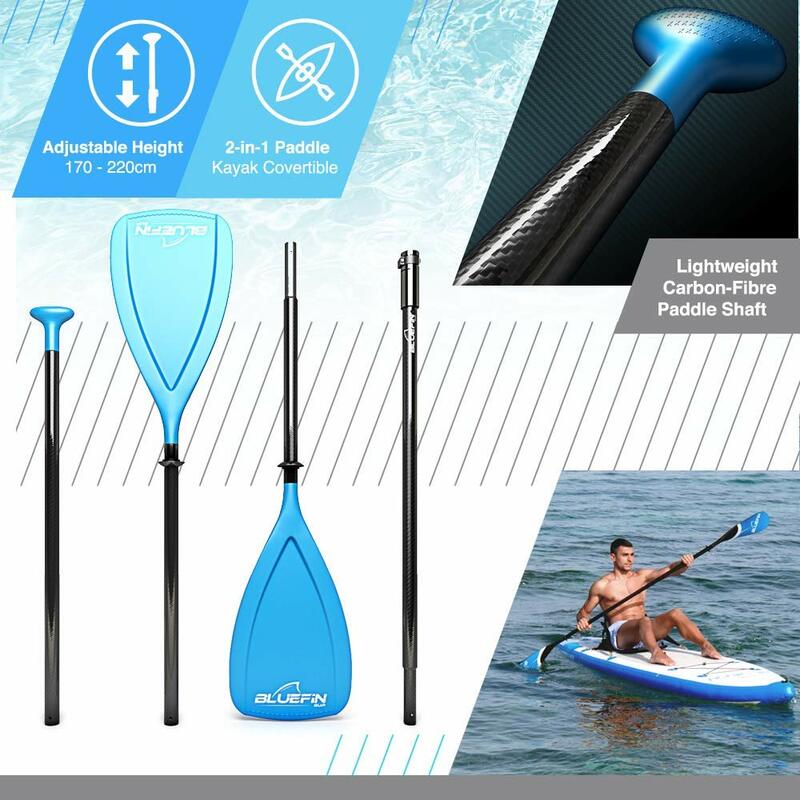 The lightweight carbon shaft & polyurethane blade weigh 45% less than standard aluminium SUP paddles. 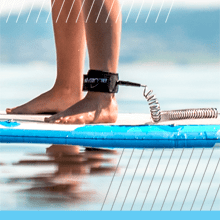 The super tough blade is impossible to chip or warp & the no-flutter design makes each stroke more efficient with less effort. 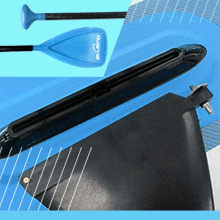 Featuring as US Box Fin System to securely attach to your specially engineered fin – perfect for cutting through weeds. 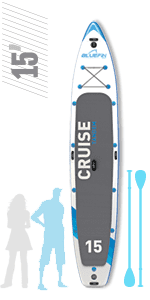 Cruise comes with you. 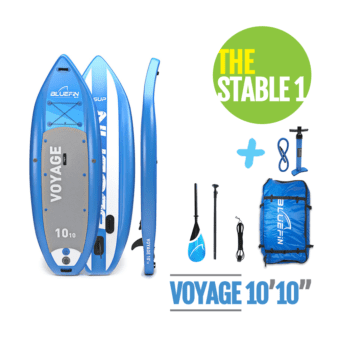 At 15 – 19kg all in the Cruise & accessories are meant to travel. 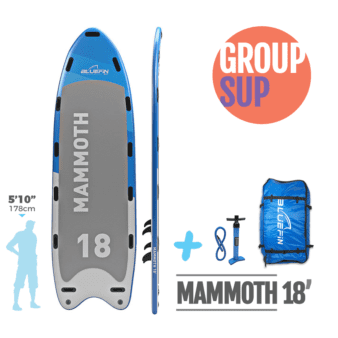 Check your iSUP as standard baggage. 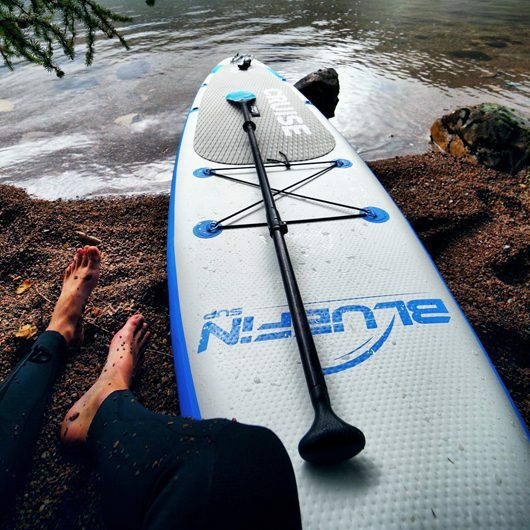 We stand by our paddle boards by offering the longest warranty on the market & the longest return period too.